Passed away peacefully on Thursday, April 4, 2019 at the age of 77. Beloved son of the late Chaker and Rafka Azzi of Lebanon. Loving husband of Josephine Anis Azzi. Much loved father of Fadi (Marianne Ibrahim) and Fadia (Elie A. Azzi). Cherished grandfather of Charbel, Charlie, Sherine, Chantal and Katarina . Dear brother of the late Sobhi Azzi (Houda) of Canada; Hassib Azzi (Treisa), Badih Azzi (Adele), Georgette (late Youssef Azzi), all of Lebanon. The family will receive relatives and friends on Friday, April 5, 2019 from 5:00 to 9:00 pm at Beechwood Funeral Cemetery and Cremation Services, 280 Beechwood Avenue, Ottawa. 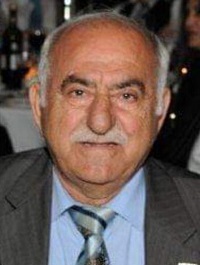 Funeral service will be held on Saturday, April 6, 2019 at 11:00 am at Saint Charbel Parish, Ottawa, Maronite Catholic Church, 245 Donald St.